Meet the Hann’s of the ‘Naki. Lauren and Kevin Hann are the power couple from Glen Avon, a ‘burb in New Plymouth, a city in the ‘Naki, or Taranaki to outsiders. The couple is here for their very first Ford Samoa Warrior Race. This is no small feat, the 62 and 64 year olds are competing as individuals. Starting at 6.30 on Saturday morning with the 2km swim at Lalomanu beach, followed by a 90km ride around Aleipata. This is all before lunchtime. But wait, there is more; one more discipline to do, and that is the 21km run. That will start for them when the bike ride is done and dusted. The 21km or Half Marathon will be run during the hottest part of the day between 11am and 2pm. But, the Hanns are not ordinary folks. 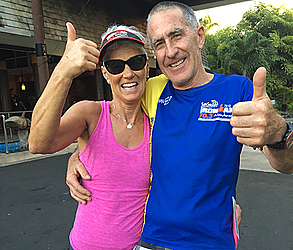 The power couple have competed in triathlons all through their lives, all around the world including many times competing in other Pacific Islands but have never been to Samoa. The Hanns have travelled here specifically to compete in our premier triathlon event. Joining other triathletes from Japan, USA, American Samoa and Australia, in the hope of finishing. That is the biggest part of it all, is finishing a race. “We heard about the race from your photographer, and we thought we will give this one a go,” said Lauren. The power couple run individual businesses in New Plymouth. Kevin is an Engineer and Lauren a Sports Massage Therapist. They have had very little time for training, and besides the winds have been “atrocious” in the ‘Naki of late. Not good for bike training. 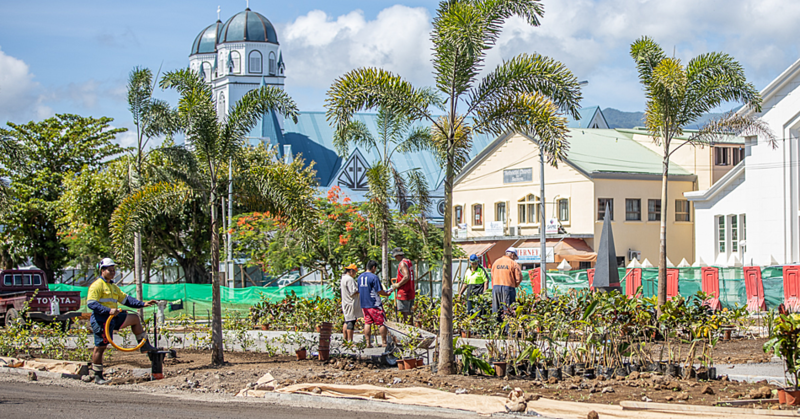 The Hanns are not the only ‘Naki natives competing in Samoa this time. Joining them next week will be fifteen swimmers from the East End Crocs Swim club who are travelling here for the Samoa Swim Series. Many of the Crocs have competed in the Samoa Swim Series before. This time, they are bringing a few more of their friends. The Hanns hope to take under six hours for their first Warrior Race. 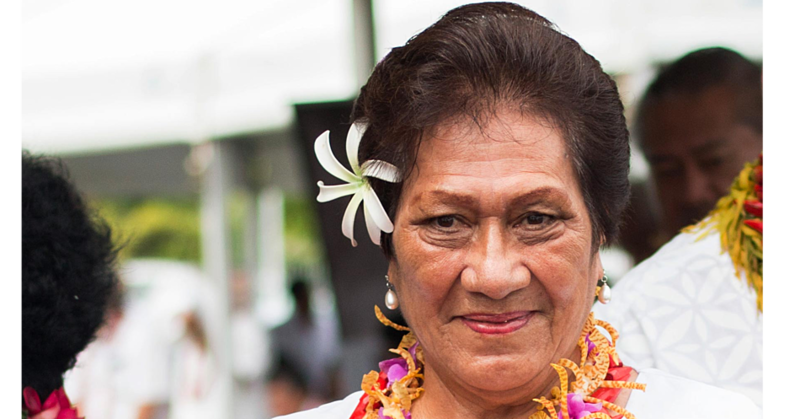 The Ford Samoa Warrior Race is the second international event this month for Samoa Events. 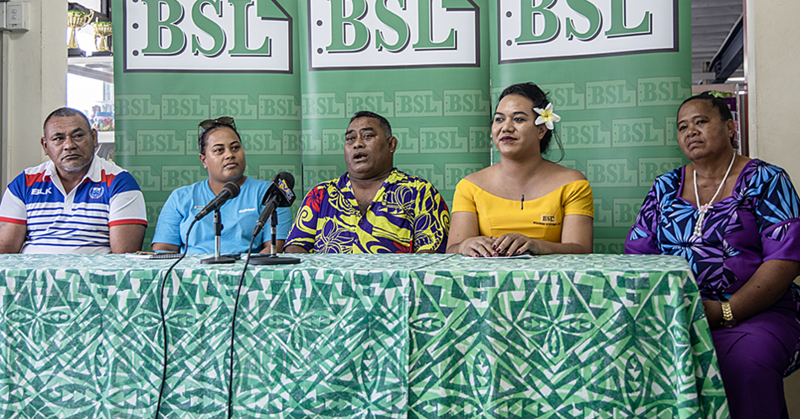 Next month, in August, Samoa Events will host a multitude of folks from all over the globe in the popular Samoa Swim Series, Pacific Open Water 10km and 5km swims and the Savaii Excursion.